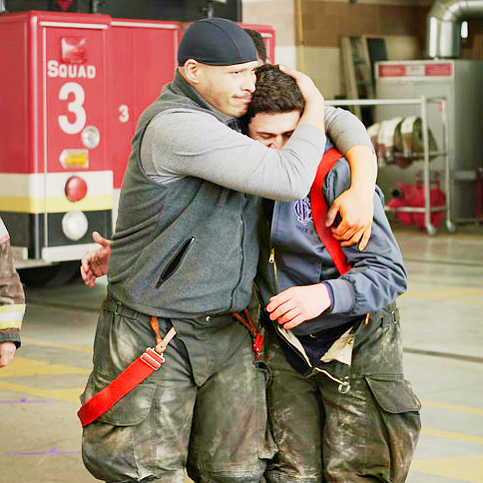 Fan Forum > TV Shows - Present > One Chicago - NBC Multiseries > BFF | Cruz & Otis #03: "I knew you wouldn't. Bros for life." BFF | Cruz & Otis #03: "I knew you wouldn't. Bros for life." O: You haven't said two words to me all morning. C: Now I'm not allowed to be contemplative and asocial? O: No, you're not. You're supposed to be dense and loveable. O: In a loveable way. C: I am not dense. O: Fair enough. But it's "antisocial," not "asocial."